The attorney, Emmanuel Marsigny, issued a statement yesterday in the wake of a request by two French investigative magistrates for an international arrest warrant for Minister Nguema. Mr. Marsigny noted that his client “never had any intention of escaping French legal proceedings” and had “agreed without protest to be domiciled at his Parisian counsel’s for the procedure, despite the fact that he was under no obligation to do so,” pending approval of the government of Equatorial Guinea, which the French Foreign Ministry had sought. He said that there were no grounds for an arrest warrant. “Mr. Emmanuel Marsigny, counsel for Minister Teodoro Nguema Obiang Mangue, Minister of State of the Republic of Equatorial Guinea, is surprised that, according to the media, the investigation magistrates wish to issue an arrest warrant for the latter, considering there are no existing facts that suggest that he committed any offense of any kind, in France or abroad. In addition, above all, all of his acquisitions have been entirely transparent vis-à-vis the French banking and tax supervisory authorities, since they were carried out through personal bank accounts, or through the accounts of private law companies of which he was a shareholder, and financed by perfectly legal economic activities. Furthermore, these operations were completed through the Bank of France, which has never, until this media harassment orchestrated by two associations driven by obscure motivations, found any objection to these actions having been in full knowledge of these operations’ economic background. “The willingness of the investigating magistrates’ is all the more surprising, considering that, when summoned, the Minister of State fully agreed without protest to be domiciled at his Parisian counsel’s for the procedure, despite the fact that he was under no obligation to do so, having never had any intention of escaping French legal proceedings. While he may not have been able to comply with this request, it was due to the Code of Criminal Procedure and to the refusal on the part of the Republic of Equatorial Guinea to authorize the hearing of its Minister and representative. The Republic of Equatorial Guinea had indeed been transmitted the request for a hearing by the investigating magistrates, according to the terms of the Code of Criminal Procedure, via the Ministry of Foreign Affairs, all the while a search of premises was taking place inside diplomatic premises, in violation of international conventions. 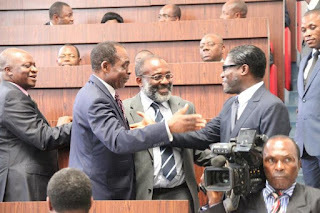 “It is therefore surprising that the same magistrates, knowing that they couldn’t hear him without the prior approval of the Republic of Equatorial Guinea they had personally requested, would consider that, notwithstanding such refusal, a warrant of arrest should be issued. Statement cites discriminatory actions and attempts to destabilize the country. The government of Equatorial Guinea has accused French government investigators of acting illegally in efforts to seize diplomatic property and seek an international warrant for the arrest of the country’s Minister of Agriculture and Forestry, Teodoro Nguema Obiang Mangue, for an allegedly obtaining property in France with ill-gotten gains. French authorities entered a building in February claiming it was the personal property of Minister Nguema and seized furnishings and other items. The government of Equatorial Guinea said that property records in France show that the building belongs to the government of Equatorial Guinea and enjoys diplomatic immunity. Ely Calil, a wealthy British businessman, is currently sought by courts both in Equatorial Guinea and South Africa, accused of financing and organizing the 2004 coup d'état. The Government of the Republic of Equatorial Guinea has been informed of the news presented by the French and international media, according to which two French judges have requested an arrest warrant and the international arrest of His Excellency TEODORO NGUEMA OBIANG MANGUE, Minister of State of Agriculture and Forestry, for an alleged offense of ill-gotten goods in France. The Government of the Republic of Equatorial Guinea expresses its deep concern for this revelation that surprises the institutions and people of Equatorial Guinea, because of the excellent relations of friendship and cooperation that the Republic of Equatorial Guinea has maintained with the French Republic since its accession to independence in 1968, and for not having previously collaborated with the competent authorities of the country about the conflict. “With this excellent nature, both countries have signed important agreements on cooperation, mutual investment and mutual protection of property and persons, irrespective of the provisions of the Vienna Convention on Diplomatic Relations. The Government of the Republic of Equatorial Guinea regrets the lack of professional vision of the Judges and Security Services of the French State in treating superficially the property acquired by the Equatorial Guinean State, with the persecution launched by judges and police in flagrant violation of the Vienna Convention on the Protection of Diplomatic Relations, and the Agreement on Reciprocal Protection of Investments signed by both countries. The Government and People of Equatorial Guinea expressed their profound indignation over the visibly discriminatory treatment, since there are personalities and foreign States who hold large fortunes and interests in France and are exempt from investigation by the French courts; however, a piece of property that is legally held by the Equatorial Guinean State and that represents part of its diplomatic mission has received brutal treatment, including by the State authorities. Indeed, the unusual nature of the legal proceedings is worth noting in which the French courts acted unilaterally without minimally collaborating, investigating, or even informing the opposing party, which is Equatorial Guinea. The Government of Equatorial Guinea would like to remind once again the Government of the French Republic of the obligation it has to ensure the implementation of international law in its country, because despite the repeated explanations with strong evidence concerning the legitimacy of the Equatorial Guinean State regarding the building at issue, the French authorities have remained indifferent to the illegal conduct of their agents and officials. The Government of the Republic of Equatorial Guinea is aware that the only action of the judges, officials and French agents is to provoke internal destabilization in the Republic of Equatorial Guinea, since no representation of the Equatorial Guinean society has undertaken any vindicating action against the violation of the rights of the People. Equatorial Guinea's Government wants to note that the Republic of Equatorial Guinea is not a former French colony having a conflict of interest with the former mother country and that its relations with France are limited to the terms of international law. The Republic of Equatorial Guinea wishes to recall that the destabilizing maneuvers never prosper in the country, as can be seen by the aborted attempts of the mercenary invasions that have occurred in the past. The lawyers of Transparency International and Sherpa, who have interests in Equatorial Guinea, are linked and maintain close ties with ELIL KALIL's mercenaries, among others, who tried to invade the Republic of Equatorial Guinea in order to access, against its People, their oil resources. Given this open provocation against the Equatorial Guinean State, the Government of the Republic of Equatorial Guinea recommends to the Government of the French Republic that it take immediate action to curb the continuity of these destabilizing activities, and it reserves the right to reciprocate, since, if France wants a rupture of relations with the Equatorial Guinean State, unilaterally, they should state it clearly. Equatorial Guinea’s leadership expressed the belief that the naming of the United Nations Educational, Scientific and Cultural Organization (UNESCO) international prize for research in the life science in the nation’s honor would recommit the nation to its international humanitarian work. President Obiang Nguema Mbasogo stated that Equatorial Guinea will continue to help millions of people through humanitarian initiatives whenever possible. It considers the UNESCO-Equatorial Guinea Prize for Research in Life Sciences to be one more way way to show President Obiang’s priority to help promote research to cure African endemic diseases. Officials point out that malaria will be a priority focus of the humanitarian fund. The disease continues to affect many inhabitants of the country and African continent. Because Equatorial Guinea currently does not have the specialists or infrastructure to carry out this research, working through an agency dedicated to science and culture, such as UNESCO, is the best way to scale the country’s investment while contributing to the advancement of science and eradication of disease throughout Africa. The government considers the approval of the prize by the Executive Board of UNESCO to be a remarkable victory, considering the pressure campaign mounted by some non-governmental organizations to urge UNESCO member nations to reject the prize. The Equatorial Guinea government believes the nation is not being given credit for progress it has made in developing infrastructure and economic opportunities or for recent political reforms, and it considers the opposition to the prize to be unjust. Equatorial Guinea has contributed to a number of humanitarian initiatives since it began generating oil revenue in earnest some ten years ago. Its most recent contribution was to the neighboring Republic of Congo to help those affected by the disaster caused by the explosion of an ammunition depot. In March of last year, the government sent $500,000 to Japan for earthquake and tsunami relief, and contributed 2 million euros for famine relief in Somalia in August. In 2009, Equatorial Guinea sent a donation of $2 million to assist Haitian earthquake victims, and in 2008, the country made a donation for the earthquake relief in Sichuan, China. Equatorial Guinea, sent aid to the United States in 2005 to support relief efforts after the city of New Orleans was devastated by tropical hurricane Katrina. Equatorial Guinea’s aid also reached fellow African nations, Burkina Faso, Niger, Mali and Senegal after the floods that inundated entire villages in 2009. In August 2011, the nation donated two million euros to combat famine in the Horn of Africa. Equatorial Guinea Ministry of Mines, Industry & Energy will lead the The CWC Group’s 15th Gulf of Guinea Oil and Gas Conference (GOG15) in Malabo June 19-21, 2012. The event is the senior-most forum to focus on West Africa’s growing hydrocarbon sector. The event is expected to bring together more than 300 top executives, decision-makers and leaders in the field from countries around the world. It provides attendees the opportunity to network and participate in a variety of meetings and discussions regarding the industry’s future and the continued development of hydrocarbons in the area. The conference has received sponsorship from companies such as Mobil E.G. and Noble Energy. Speakers include renowned figures in the industry, including people such as Juan Antonio Ndong Ondo, Director General of Sonagas, G.E. ; Vicente Abeso, Director of Hydrocarbons MMEI, EG; and Jay J Park Q.C., Partner & Chair at Global Resources Practice Group for Norton Rose. Last year’s conference was held in Accra, Ghana, after 13 years in London. The event was held during Africa Energy Week and highlighted issues and potential business developments for the Gulf of Guinea region. Equatorial Guinea will participate in Expo 2012 in Yeosu, South Korea, which will be held from May 12 to August 12. The theme of the international exposition is “The Living Ocean and Coast: Diversity of Resources and Renewable Energies,” dedicated to promoting sustainability and protecting the environment. Equatorial Guinea’s delegation will be led by sculptor and President of the Scientific and Technological Research Center (CICTE) Leandro Nbomio Nsue, and the Director General for Culture Rufino Ndong Esono Nchama. The two are working together as Commissioners General of Section and pavilion directors..
Equatorial Guinea’s participation in the event reflects the nation’s growing trade and cooperation with South Korea, particularly on natural resources, including oil, gas and agriculture. The two countries established a partnership last year dedicated to developing infrastructure and energy projects. They agreed to help “promote bilateral exchanges in technologies and human resources to foster closer economic ties,” according to the Korea Times. The detention of Dr. Wenceslao Mansogo for medical malpractice has been carried out according to proper legal procedures, the government of Equatorial Guinea said today. In a statement, the government said Doctor Mansogo was arrested following a complaint by the family of a woman who died during surgery. The family objected to the condition of the woman’s body and questioned the care she had received. According to the government statement, an autopsy revealed that the cause of the patient’s death was different from that given by Dr. Mansogo to the family. Dr. Mansogo was arrested on February 9 and brought before a judge the following day. According to the judge, Dr. Mansogo was being investigated for crimes involving professional negligence and desecration of a corpse. Dr. Mansogo is currently in the Bata central prison. In its statement, the Government of Equatorial Guinea noting that Dr. Mansogo practiced freely as a doctor for years without interruption. His detention was not because of political affiliation or work as a human rights activist, it said. It was “caused by a particular complaint from a family,” and was being judged by an independent judiciary. The statement noted that Dr. Mansogo’s defense lawyers had requested his immediate release. After the judge rejected the request, they appealed to the Superior Court of Bata, which upheld Dr. Mansogo’s preventive detention and returned the case to the lower court. Last week’s UNESCO vote to institute a $3 million prize for biological research sponsored by the government of Equatorial Guinea was a sign of that nation’s increasingly active—and successful—foreign policy. Equatorial Guinea offered to fund a prize to promote studies related to the most important health problems affecting Africa, such as malaria, tuberculosis, and AIDS, in 2008. UNESCO initially had accepted the donation, but later reversed itself when some member states came under pressure from human-rights and political groups critical of Equatorial Guinea’s government. Equatorial Guinea never wavered in its determination to establish the prize and mounted a diplomatic campaign to gain support for its position, finally offering to remove the name of the country’s president, Obiang Nguema Mbasogo, from the prize in order to accommodate the reservations of some nations. Last week, UNESCO’s Executive Council again reversed the institution’s position, agreeing to establish the prize by a vote of 33 to 18, with 6 abstentions. Equatorial Guinea prevailed on the strength of support from African, Latin American, and Middle East nations. But while the UNESCO prize may have drawn international attention to Equatorial Guinea, it was not the country’s first international humanitarian initiative. Equatorial Guinea made donations for earthquake relief in China in 2008 and Haiti in 2010, and for tsunami relief in Japan and famine relief in Somalia last year. The government announced today that it would send a shipment of food, medicine and clothing to the Republic of Congo to aid victims of the explosion in the neighborhood of Mpila, in the northern part of Brazzaville, which killed more than two hundred people and injured many others. Equatorial Guinea has also been busy building diplomatic relationships through exchanges of high-level visits—including state visits—with nations ranging from Brazil and Suriname to Russia and China. It has been particularly active in African diplomacy, which has featured exchanges of state visits with many of its fellow African states aimed at increasing trade as well as cooperation in regional political and economic matters, technology, agriculture, petroleum issues, and forestry. Last year, Gabon and Equatorial Guinea asked UN Secretary General Ban Ki-moon to mediate a maritime-boundary dispute, which both nations characterized as a dispute between friends. Recently, the Republic of Korea announced that it would open an embassy in Malabo, joining Spain, France, China, Cuba, Morocco, and the United States. Several sub-Saharan African countries, including Nigeria, Cameroon, Gabon and Ghana, also have embassies in Malabo. Equatorial Guinea has also sought a leadership role in multilateral affairs and has made the country a venue for pan-African and other international events. It was at the center of African politics during President Obiang’s tenure as chairman of the African Union, during which time he frequently urged African nations to work together to resolve African problems rather than seek assistance or cede responsibility to outside powers and organizations. The African Union Summit inaugurated Equatorial Guinea’s new international conference center in Sipopo in July 2011. At that time, Equatorial Guinea offered to host the headquarters of the African Union Youth Corps. It currently hosts the headquarters of the Confederation of National Non-Governmental Organizations in Africa. 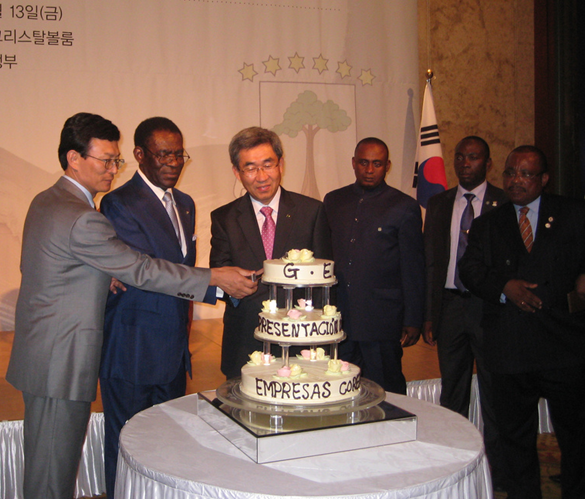 Sipopo will be the site of the Africa-South America Summit in May, and President Obiang announced on December 22 that the Leon H. Sullivan Foundation will hold its summit in Sipopo in August 2012, which will bring 2-3,000 people to the country. Equatorial Guinea was broadly praised for its preparations in co-hosting—with neighboring Gabon-- the Africa Cup of Nations in January and February 2012. Equatorial Guinea has also taken advantage of international exchanges to educate young people to take positions in an increasingly modern society. Hundreds of students study each year in Spain, Cuba, the United States, Morocco, Russia, France and other nations. The government recently announced that 254 Equatoguinean students will travel to the Dominican Republic over the next five years for studies in agriculture. President’s priority has always been to help promote research to cure African endemic diseases. The government of Equatorial Guinea has expressed its appreciation to the Executive Board of UNESCO for its approval of the Equatorial Guinea International Prize for Research in the Life Sciences. The board voted to establish the prize on March 8 by a vote of 33 votes in favor, 18 against and 6 abstentions, far exceeding the simple majority needed for approval. Several non-governmental organizations had mounted a campaign to convince UNESCO to reject the funding and not establish the award. The vote followed a successful diplomatic campaign by Equatorial Guinea that won the support of African, Asian and Latin American countries. The award originally was to be named for Equatorial Guinea’s president, Obiang Nguema Mbasogo, who offered to remove his name from the prize in order to accommodate the views of other nations. The government stated that President Obiang’s “priority in offering this award has always been to help promote research,” not to memorialize himself. The vote of the Executive Council of UNESCO to accept funds from the government of Equatorial Guinea to establish an international prize for research in the life sciences marked the end of a successful diplomatic campaign by the African nation to gain international support for the prize. The government of Equatorial Guinea celebrated a diplomatic victory when it received news that the council had voted on March 8 to adopt the prize. The vote was 33 votes in favor, many of them from the African group, 18 against and 6 abstentions. 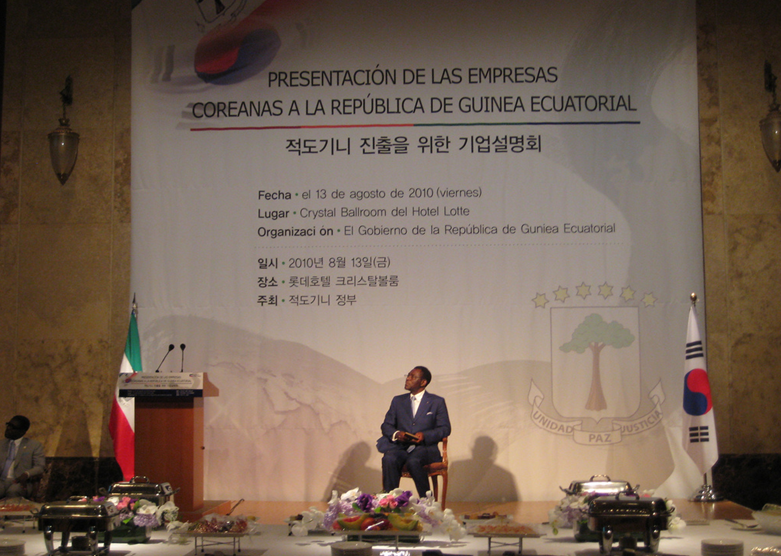 Equatorial Guinea had worked feverishly to gain international support and to accommodate other nations’ reservations about the prize, which had been accepted by UNESCO in 2008. UNESCO later rescinded its acceptance. The vote to rescind was a result of pressure by human rights and political organizations critical of the government of Equatorial Guinea. Originally titled the Obiang-UNESCO Prize for Research in the Life Sciences, the award will now be called the UNESCO-Equatorial Guinea International Prize for Research in the Life Sciences. The prize is intended to fund research in diseases afflicting the African continent, such as AIDS, tuberculosis and malaria. Equatorial Guinea has been recognized by international health organizations such as the United Nations’ Roll Back Malaria campaign for its dramatic progress in combatting malaria. Once the campaign to rescind the 2008 UNESCO vote gained momentum, what began as an initiative to promote science soon became a matter of national pride and a foreign-policy priority for Equatorial Guinea, and for many African governments, a matter of defense of the African identity. Equatorial Guinea was enjoyed steadfast support from the African bloc countries, which endorsed the prize from the beginning and encouraged Equatorial Guinea to fight for acceptance. The government of Equatorial Guinea sees the campaign to pressure UNESCO to refuse its offer as part of a larger problem. “We are very aware of criticism over conditions in our country, and we accept that many criticisms of us are legitimate, but we should also be recognized for the great efforts we are making to improve the situation in Equatorial Guinea and to do what we can to promote progress in Africa and offer humanitarian assistance far from home,” said Mr. Osa Ecoro. Equatorial Guinea Ministry of Agriculture and Forestry, led by Teodoro Nguema Obiang Mangue, recently focused attention on growing and reinforcing the agriculture sector in Equatorial Guinea through a food security program workshop. The Ministry also acknowledged the government’s goal of increasing food production in the country. “Equatorial Guinea’s Ministry of Agriculture and Forestry has set food security as a priority and is developing a strategic plan to increase agriculture in the country,” Athman Mravili, United Nations representative for the Food and Agriculture Organization (FAO), in Equatorial Guinea. The ongoing support toward the food security program, which is supported by the FAO is another way to encourage local farmers, living in rural areas, to take advantage of technical workshops and agriculture experts to increase their productions. The Ministry of Agriculture and Forestry in Equatorial Guinea has many initiatives in place to foster agricultural growth. The Ministry has placed expert technicians in every province to provide guidance and know-how to local farmers. These efforts, led by Minister Nguema, ensure everyone in the nation has access to food and effective crop production techniques. Minister Nguema has also led a project to upgrade homes and farming facilities in rural areas with zinc roofs, in lieu of more rudimentary and less effective building materials.